Dental equipment and its repair can be expensive; control of these costs is a key element of financial sustainability. The major equipment decision facing community-based dental clinics is whether to purchase new equipment and incur lower repair expenses in the future or to obtain older equipment that is purchased at lower cost or donated but will likely require more frequent repair in the future. Older equipment also may be outdated and have an adverse effect on the efficiency of the provision of oral health services. Since utility connections are placed to meet equipment needs, when you build a clinic using pre-owned equipment, you are locking yourself into this or similar equipment when you upgrade. Changing the utility connections in the future can be an expensive proposition. The right decision depends upon the specific circumstances. If sufficient funds are available for new equipment, that is generally a better choice. Community-based dental clinics that are non-profit organizations may be able to obtain discounts from dental-equipment vendors. It may be possible to obtain donated equipment from private dentists who are upgrading their offices. Such a donation may be attractive to the private dentist because the donation represents a charitable gift, which may have favorable tax consequences. 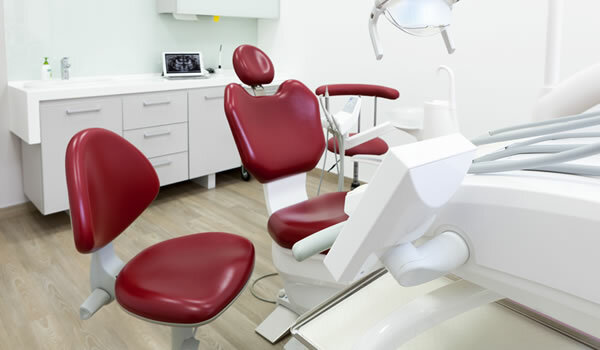 Dental supply companies that sell new equipment to dentists often can locate high-quality used equipment taken from upgraded offices that may be available as a gift. Donated (pre-owned) equipment often turns out not to be the good deal it appeared to be; careful consideration must be given before accepting any used equipment.